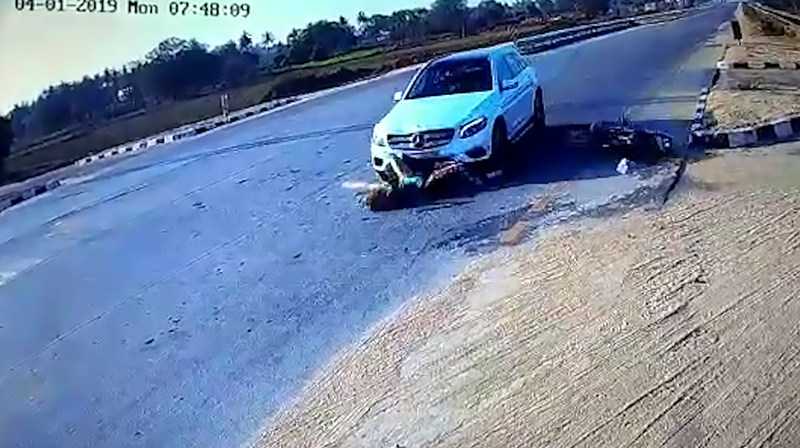 This is the shocking moment a speeding SUV smashes into a young couple on a motorbike without helmets and they both disappear under the vehicle with just their legs poking out. 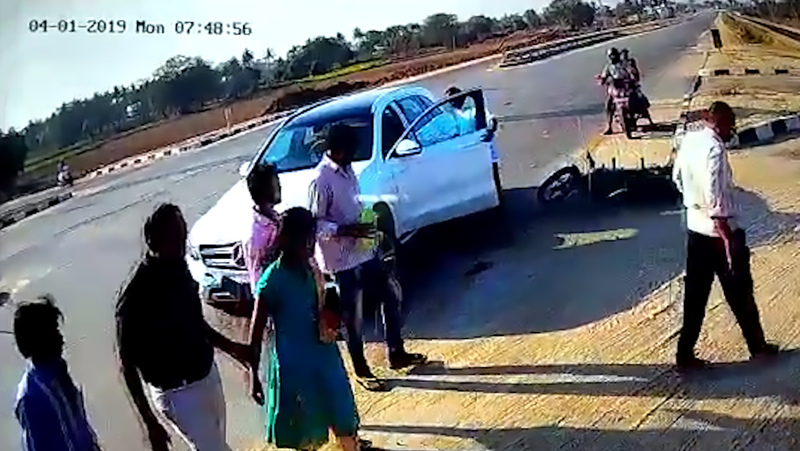 Miraculously, both the man and woman get to their feet following the horror smash on the Bangalore Chennai Expressway near the district of Chittoor in the south-eastern Indian state of Andhra Pradesh. According to local media, the lucky couple only suffered minor injuries are were taken to hospital for treatment. 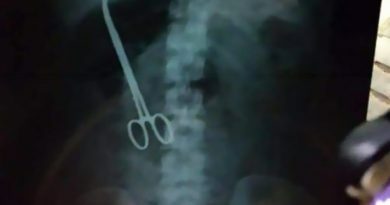 Meanwhile, the local police said that they were from the nearby village of Mararimukulapalli and confirmed that they are investigating the incident. 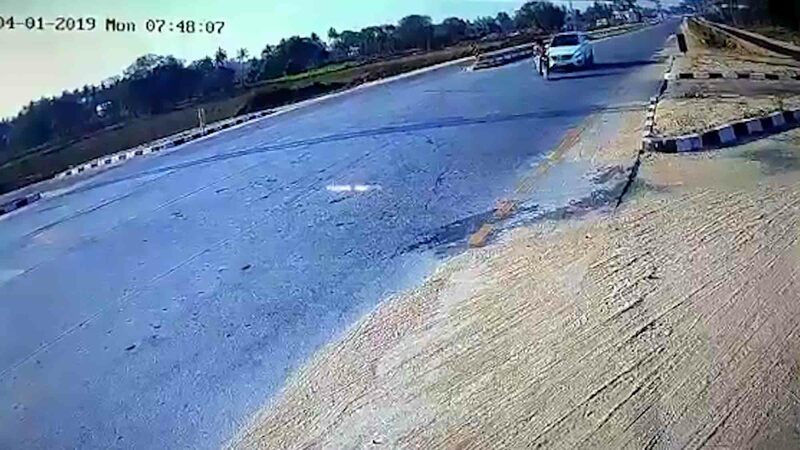 In the CCTV footage, the young couple is seen riding along the main road before appearing to slow down to a near stop. 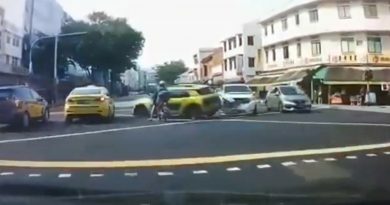 However, the speeding SUV driver does not react in time and the vehicle smashes into the bikers, both without helmets. 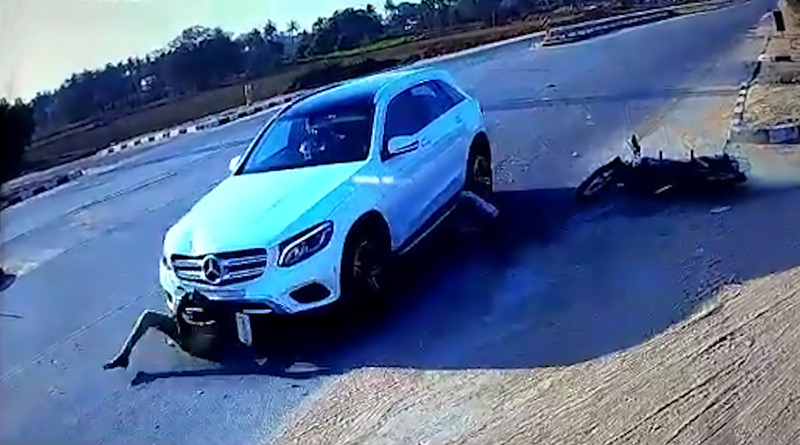 The couple ends up on the bonnet before being thrown forwards where they disappear under the braking Mercedes Benz SUV. 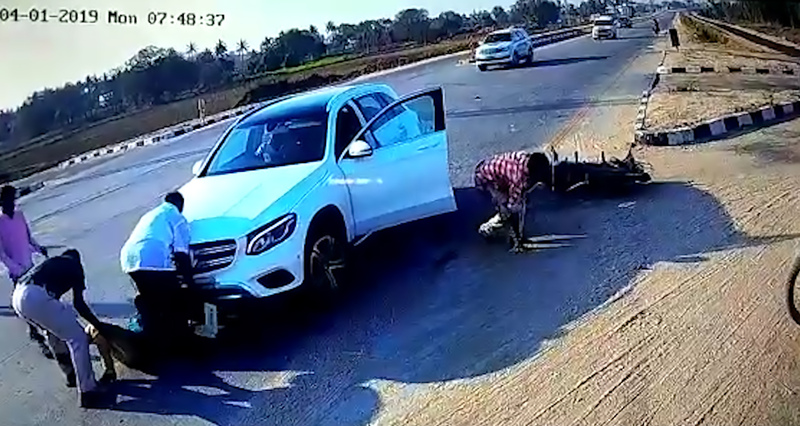 When the white car comes to a stop, the woman’s legs are seen poking out from underneath the front axle while her partner lies motionless under the rear wheel arch. 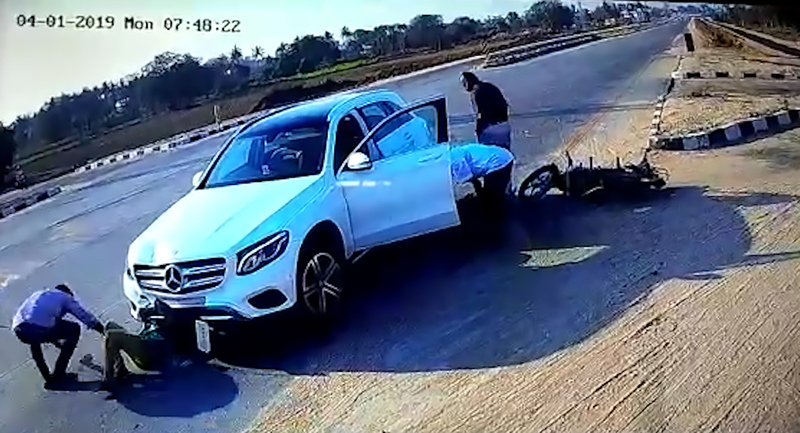 Three men jump out of the SUV and one of them recklessly tries to pull the woman from under the vehicle by her ankles. Meanwhile, the man is dragged clear and appears dazed as he sits up and takes stock. 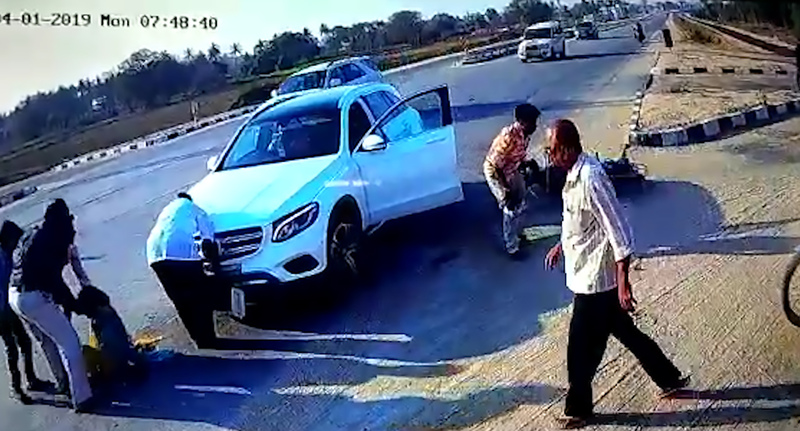 As he slowly gets to his feet, the men managed to slide the SUV backwards and free the woman. 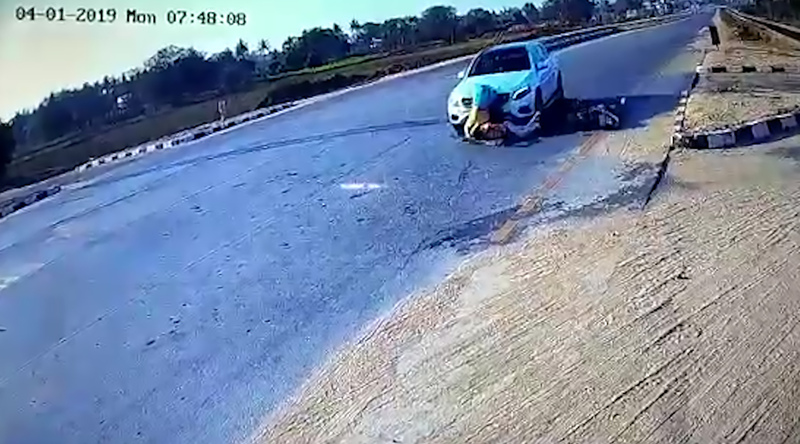 At the end of the clip, they are both seen walking to the roadside.